Adam Czerniakow the Chairman of the Warsaw Judenrat wrote in his diary, about his stays in the Jewish sanatoriums in Otwock, as a refuge from the hell, that the ghetto had become. .
Otwock is located 27 kilometres East South East from Warsaw and a Jewish community was established in 1880 when a rabbi from Warka, Kalisz called Simcha Bunem established a study house on land rented from two Jews – Blass and Reindorf. 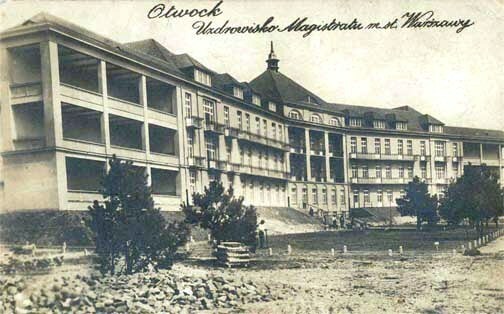 Otwock grew with the opening of the Vistula Railway and when the spa at nearby Naleczow closed it gates for Jews, the spa conditions at Otwock made it a fashionable haven for Jews who needed treatment. Aleksandra Street was at the heart of the Jewish district – the first synagogue was built there. The majority of Jews lived in wooden houses with verandas and porches. From 1910, a second house of prayer with a ritual bath was situated in Gorna Street. 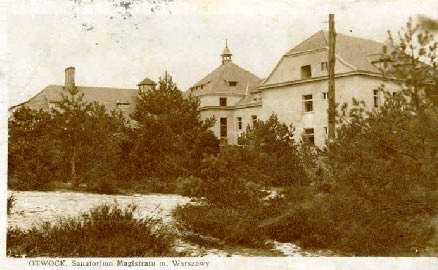 In 1895 the first sanatorium for Jews, established by Jozef Przygoda, a medical assistant started to function and this was continued by his son Wladyslaw. 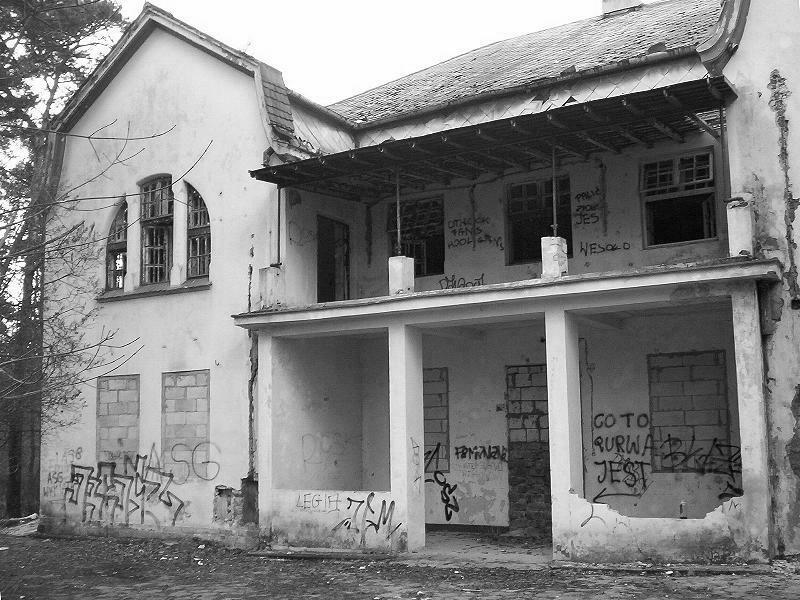 Therapeutic resorts in Otwock were run by Jewish associations Marpe from 1907 and Brijus from 1911, Zofiowka on Kochanowskiego Street was founded in 1908 by the Association for Mentally and Neurotically ill Jews. By 1935 Zofiowka had 275 beds and its first chairman was Samuel Goldflam. In 1911 the Jewish Association against Tuberculosis bought 32 morgues of forest on the slopes of the Meran Dune, Brijus sanatorium was built there and a second Brijus sanatorium for young people suffering from tuberculosis. By 1939 Otwock’s population numbered more than 19,000 citizens of which approximately 14,000 were Jews, but then the Germans occupied Poland, and the Jewish population was destined for destruction. Today at 7 in the morning I gave myself a 24 hour holiday after all these months – I am leaving for Otwock. We are having beautiful weather; at 5am it is 61 degrees F.
I notice in Zofiowka the woman troublemaker who cost us 100,000 zlotys, adult lunatics and children. One child in a straightjacket to prevent self-injury, the face covered with flies. Another one is scratching wounds on his head. A female singer in bed executes some operatic arias: she used to perform in Italy. Other women by the piano were playing and singing. I joined them. Somebody built himself a tombstone in a cemetery with his name carved on it. It is to this address that he would direct his creditors. At 7 in the morning I depart for Otwock to Brijus. At 9 the wife of a certain Dr Rubinstein came pleading with me to intervene again on behalf of her husband. At Zofiowka they informed me about the death of one of their patients, an old Jew, “the King of England.” Another who “has black candles inside his body” tried to accost me but I managed to get away from him claiming that I was not the Chairman. In Otwock yesterday, nobody reported for the labour camp. Several persons shot. In Otwock the Polish authorities are to take over Brijus. Zofiowka is threatened etc. I left by car, in terrible weather, with my wife and Szerynski for Zofiowka. I received a message from Warsaw, according to an edict we must surrender all the furs – both men and women’s. In the afternoon Szerynski called from Otwock. 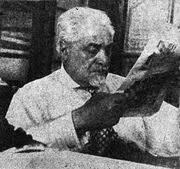 Auerswald telephoned him and said that he observed Jews who were moving out of the houses on Stojerska Street taking floors etc with them. He stated that the Order Service men who were passively standing by would be sent to Treblinka and the Community would pay for the damage. Kohn claims that the deportation is to commence tomorrow at 8pm with 3,000 Jews from the Little Ghetto (Sliska Street). He himself and his family slipped away to Otwock. Others did the same. “There were two Jewish sanatoriums at Otwock which were at the disposal of the sick from the ghetto: Brijus for tuberculosis patients and Zofiowka for the acutely mentally ill. These two institutions were overcrowded and suffocating from a shortage of funds. The management of Zofiowka, therefore set aside one pavilion containing over a dozen rooms for people in need of a rest who could pay high rates, the income of which would help to maintain their indigent patients. Every one of us who had been living in the ghetto for a few months deserved, to a lesser or greater degree, to be sent to Zofiowka, but only the wealthy could afford that oasis of tranquillity. Before the war, nobody of sound mind would have gone near a mental hospital to find rest but now a stay in Zofiowka became most desirable to many people. Not even the howling of the mentally ill day and night could disturb their rest, or the fact that the non-violent patients wandered in the gardens and woods and became involved in conversations with the paying guests. What I describe here comes from what I was told by Ludmila Fiszhaut – Zeldowicz, who spent several days in Zofiowka in the fall of 1941. 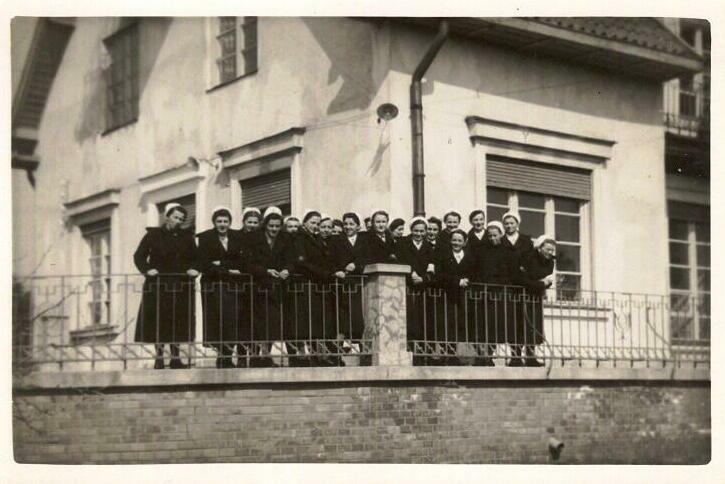 Zofiowka was liquidated on the 19 August 1942 one hundred patients and staff were killed. The Director of the hospital, the well known psychiatrist Dr Stefan Miller committed suicide. As for the rest of Otwock’s Jewish population 7,000 were deported to the death camp at Treblinka during the 19 -20 August 1942, where they were shared the same fate as the vast majority of those deported to that hell on earth.